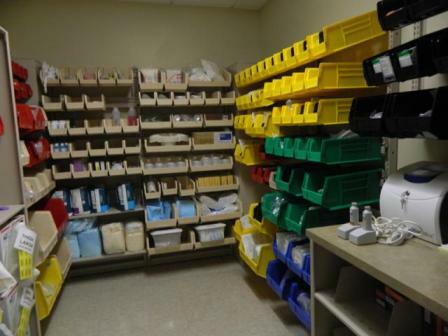 You can create the exact plastic bin storage system you need with WrxStor Bin Shelving. Because of its modular design, the WrxStor Bin Shelving can be configured in numerous different ways to give you infinite storage options. 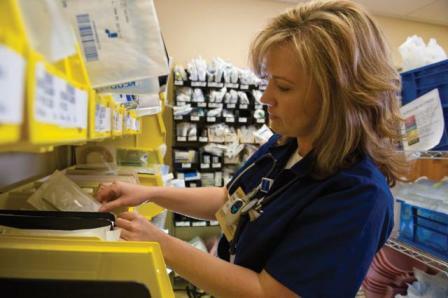 When your needs change, your plastic bin storage system can be modified without tools or fasteners. 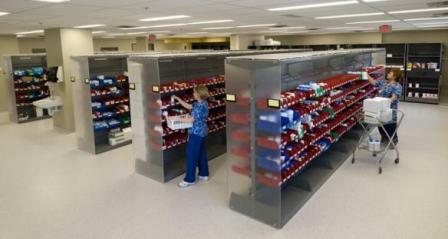 In addition, the WrxStor Bin Shelving is easy to take down, move, and reinstall in another department or area. 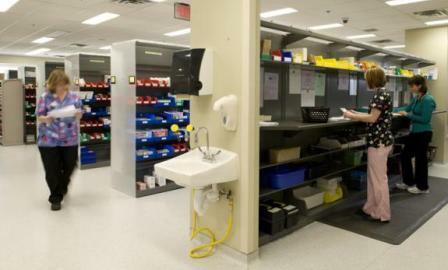 WrxStor Bin Shelving is the plastic bin storage system that helps optimize your space to generate revenue, meet each department’s unique storage needs, and maximize your long-term storage ROI. 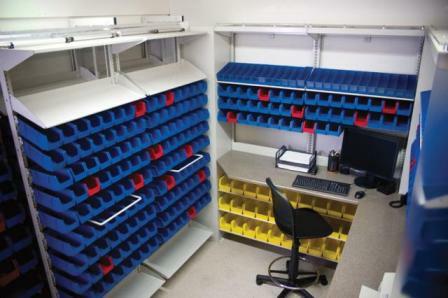 WrxStor Bin Shelving easily has room for a variety of storage add-ons, including hanging plastic bins, peg-board hooks and slat-wall accessories. 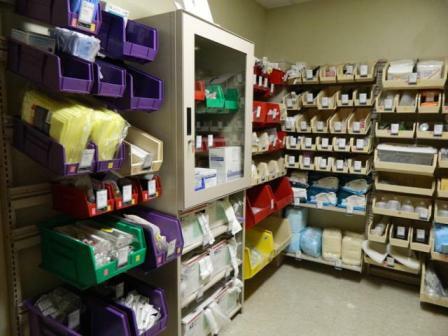 In addition, options like work surfaces, shelving, canopy tops, and end panels, all available in a wide range of colors, textures and materials, allow you to change the appearance and functionality of the plastic bin storage system. 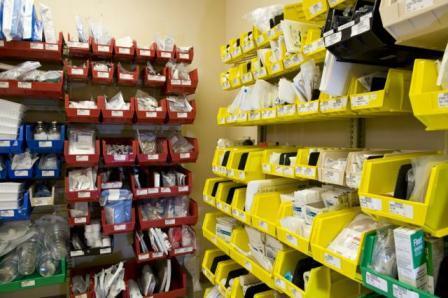 Here are just a few of the available options on the WrxStor Bin Shelving. 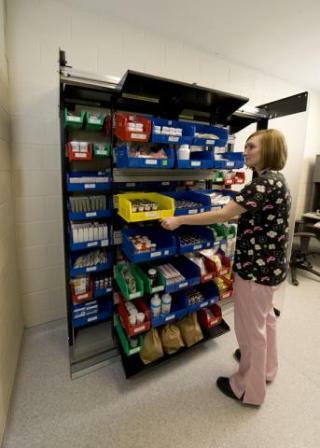 High Density Storage Option: With two rows of WrxStor Bin Shelving storage, you will increase your storage density while maintaining high accessibility. 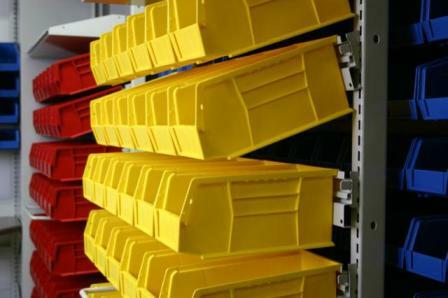 Built-in Smooth Stopping: Provides smooth and controlled stops of rolling WrxStor High Density Shelving frames, which protects users and its contents. Plastic Bin Colors: The plastic bins on the WrxStor Bin Shelving come in many different colors to help you easily recognize where stored items are located. 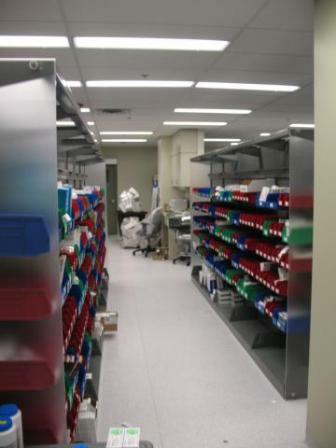 End Panels and Canopy Tops: Color-matched steel end panels and canopy tops can be added to the WrxStor Bin Shelving and are available in numerous colors, finishes and materials, including laminates and acrylics. Paint Color Options: The plastic bin storage system is offered in many standard and custom colors that complement any décor. 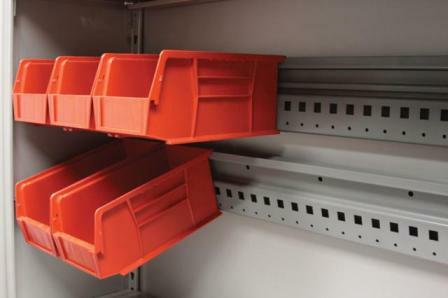 Rail Technology: Innovative rail technology helps to give the WrxStor Bin Shelving its unmatched degree of flexibility to fit almost any storage need you have. Adjustable Shelves: Adjustable shelves can be mounted horizontally or tilted at a 17° slope for gravity feed and easier access. 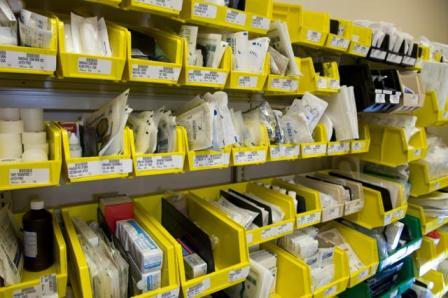 Work Surfaces: Adding work surfaces to your WrxStor Bin Shelving provides you with a convenient work area built right into your plastic bin storage system.